Transformer Oil Conditioning: Basic Principles and Equipment - GlobeCore. Oil Purification Systems. 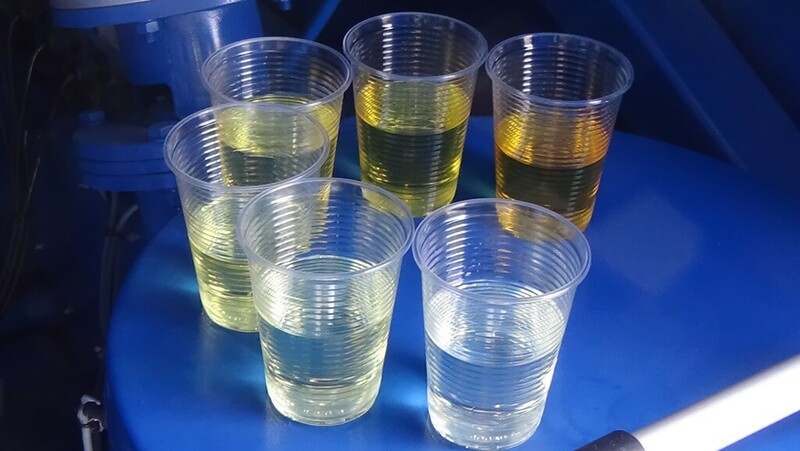 The need for transformer oil conditioning arises when the oil is prepared for transformer filling, or when the oil already in the transformer deteriorates (acidity, dissipation factor, dielectric strength etc). Parameters of fresh transformer oil must meet certain requirements. However, the insulation fluid often becomes contaminated with dust, water and gas during transportation. Sunlight and oxygen are also bad influences on the oil. Therefore, when it is time to begin using the oil, it may not meet the quality requirements. To avoid that, the oil is additionally purified and degassed. Inside a working transformer, temperature and the electric field accelerate oil aging process even more. In this case, a more complex processing is required for oil reconditioning. All transformer oil conditioning techniques are classified as physical, chemical or combined. Physical processes are used for limited oil processing, when the quality of the oil has not been deeply changed. Filtration and evaporation are good examples. Filtration involves pumping oil through porous media to capture particles and/or water. Evaporation is based on the different boiling temperatures of water and transformer oil. If quality of the oil has changed in a more profound way due to aging, combined physical and chemical methods are used. The most common of these is adsorption. Adsorbents feature a high capability to capture impurities in the oil. There are natural and synthetic adsorbent media. Chemical methods involve the use of acids and alkali. These substances react with the impurities, neutralizing them or forming new substances which are easier to extract from the oil. 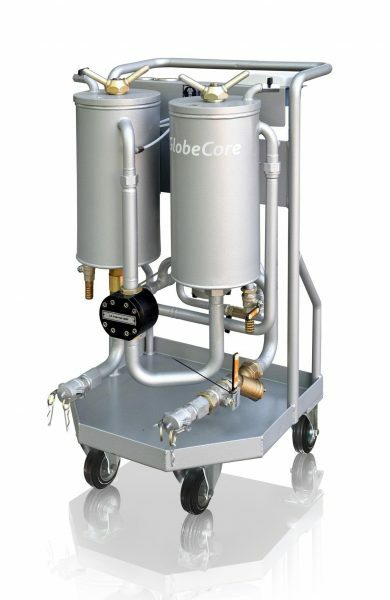 GlobeCore has been manufacturing transformer oil conditioning systems for many years. The company has accumulated much experience, which allowed to develop many types of equipment to address specific tasks. 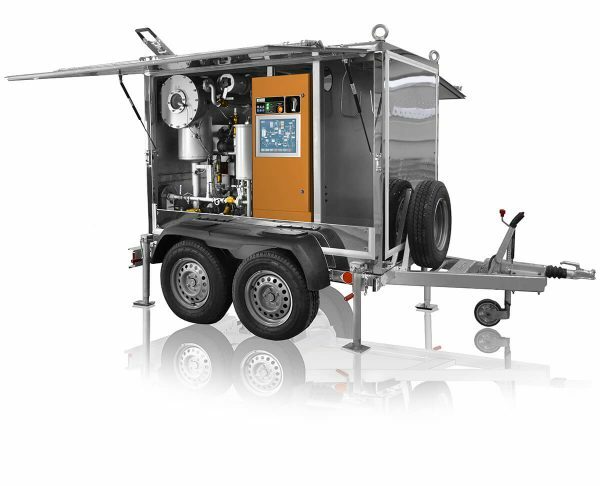 For regular filtration of oil contaminated in storage or during transportation a CFU unit is sufficient. It is a fairly simple unit, pumping the oil through several filters to remove particulate matter. 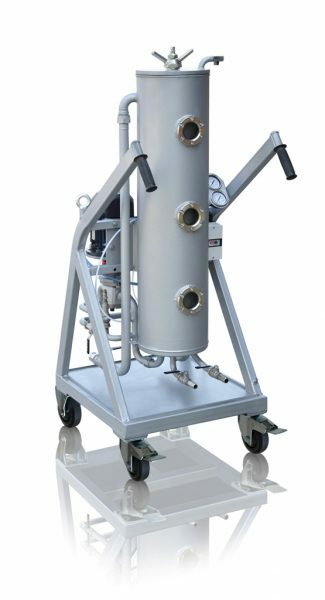 The CMM-CF units are are also based on filtration, however, the filter element is designed to make water molecules gather into larger drops and flow down into a collection container. Another filter removes solid particles. The main benefit of the CMM-CF is its ability to process oil with as much as 50% water. The MZU units belong to zeolite transformer oil conditioning machines. Zeolite is a natural adsorbent of natural or synthetic origin which captures water particularly well. The unit also has a filter to remove particulate matter. Since water is especially critical to the dielectric strength, processing the oil with the MZU immediately increases this parameter several-fold. The CMM transformer oil conditioning machines employ filtration, heat and vacuum. Transformer oil reconditioning equipment is represented by the CMM-R systems. They combine the purification capabilities of the CMM units with the ability to remove aging products from the oil using Fuller’s earth. It is Fuller’s earth that ensures final polishing of the oil, fully restoring its quality. An anti-oxidation stabilizer additive can also be added to the oil. After saturation, the adsorbent is reactivated directly inside the unit and can be reused for transformer oil reconditioning again. On average, the load of Fuller’s earth is good for as many as 300 reactivation cycles, enough for several years of operation. This system can be connected directly to the transformers: the process does not involve draining oil from the transformer for processing.